As a manufacturer of electric micro linear actuators, one of the industries that we're most excited to be directly involved with is the production of prosthetics. In recent years, we have had the privilege of working with several companies that manufacture prosthetics. Prosthetic technology is rapidly evolving, and the cost of that technology continues to drop. It's possible that in ten or twenty years, every amputee on earth could have access to a prosthetic limb. This would have a huge impact on quality of life for millions of people worldwide. How have prosthetics improved in recent years? The cost of materials has dropped in recent years. 3D printing allows manufacturers to design and produce parts in small quantities for a low cost. Engineers, students and hobbyists can now afford to try their hand at designing prosthetics. The latest prosthetic hands have some advanced features that allow the user to really take full control of the limb. Some of the features that are coming available in prosthetic hands for example are pivoting opposable thumbs, rotating wrists and temperature sensing capabilities. 3D printing is fairly inexpensive, and printers are now available at colleges, universities and even some public libraries. The availability of inexpensive micro linear actuators also reduce costs considerably. 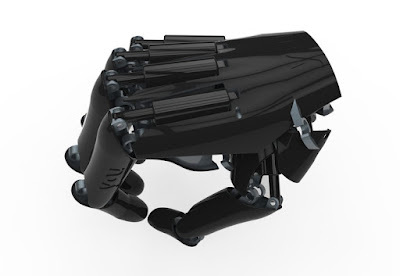 A prosthetic hand might have as many as 6 actuators so this is a cost that can add up. 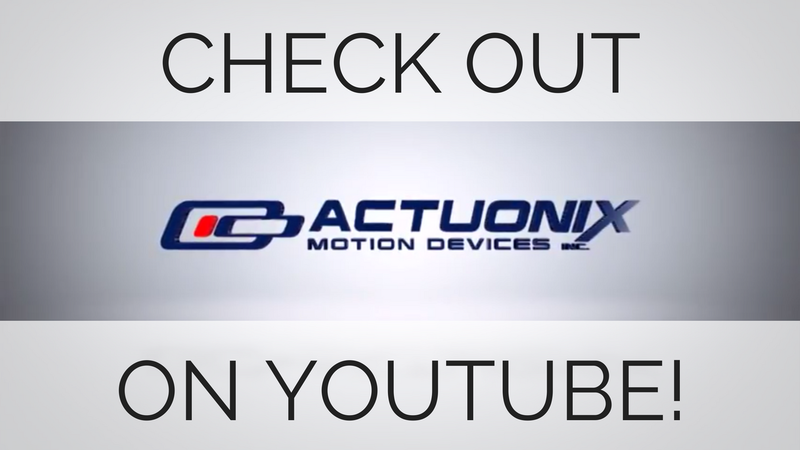 All of our most popular miniature actuators for prosthetics are less than $100USD. Bulk pricing is also offered allowing manufacturers to save more money. Superior to a human hand? Prosthetic hands have evolved to the point where they are in some regards, superior to biological hands. New-age prosthetics have outstanding grip strength and some offer wrist-rotation that is well outside the human range of motion. 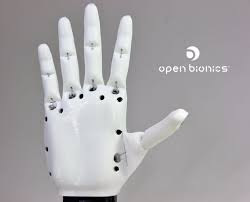 Open Bionics was founded by Joel Gibbard and Samantha Payne in 2014. Their vision is to get a prosthetic hand to every amputee globally. This is a huge goal, but their ADA hand is making it possible. The ADA hand is a 3D printable, open-source prosthetic hand designed by Open Bionics. Anybody can download the plans and purchase the parts to build their own ADA hand for a fraction of what a traditional prosthetic hand costs. Open Bionics also has some exciting new initiatives. They have partnered with Marvel to make a line of hands for children that feature popular kid's movie themes including Star Wars, Iron Man and Frozen. These new hands are something that young amputees can get excited about. It also gives their peers something other than their disability to focus on. Federico Ciccerese is another leader in 3D printed hands. He founded YouBionic and developed their first 3D printed hand with a price tag of 1200GBP. According to this 2014 article on 3Dprint.com, his main goals were that the prosthesis be affordable, have easily replaceable electronic and printable parts, and have natural-looking movements. The electronics of the hand are based on the affordable arduino platform and are readily available. The low-cost prosthetic hands that are available on the market right now are far superior to what anybody could have guessed 20 years ago. We're excited for what the future of this industry holds and with leaders like the above mentioned companies at the forefront of this technology, there will be much to get excited about.